Whether for the first time or the hundredth, installing a beehive is always fun. You are about to provide a home to tens of thousands of bees and eventually many generations of them. All being well, this will be a special place thriving with bees for years to come. 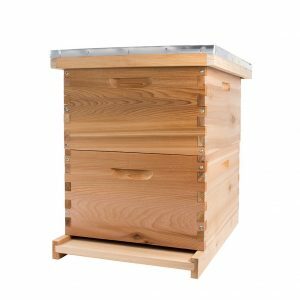 But as we have seen, there are many choices of beehives, including the Langstroth, the Top Bar, the Warre and even the Flow Hive. That is one of your first big decisions. But you are just getting started. How does your hive arrive? Do you just take it out of the box, set it in place and pour in bees? Not quite and the amount of work you have to do depends on how you ordered your beehive. There are three options, assembled, non-assembled or DIY. Some new beekeepers are somewhat surprised when they receive their first hive. The process can seem a little confusing at first. With the possible exception of a fully assembled, ready-to-go hive you should not plan to pick up your bees on the same day you receive your hive. As you will see below, most hives and their associated components take a while to set up. Although bees will generally be OK waiting for their new home, keep it simple and set up your beehive a few days in advance. Let’s say you have a package of bees in the garage (more on package bees in a separate lesson) in a nice cool spot, they are calm and happy and you start assembling your fancy new beehive. Then, halfway through, you discover the supplier omitted something important, like a bottom board. This is rather frustrating but easy to fix and no big deal. But it may take a few days to have the missing part shipped to you, while your bees patiently wait! Allow a few days between receiving your beehive and obtaining and installing your bees. All being well, they will live there for many years. So quell your (understandable) excitement and take your time. The most likely time for you to be installing your new hive is the same time that many other beekeepers are doing just that! It’s essential you plan ahead with where and how to obtain your bees. For this reason, many beekeepers order their bees very early in the New Year. These same considerations can occur with equipment too. Beekeeping is a seasonal business, with huge numbers of beehives being ordered in the New Year and into spring. This puts a very significant pressure on demand and the occasional delay can occur. There’s nothing more frustrating than planning ahead where you obtain your bees, only to find that your beehive is going to take a while. For this reason, it’s important to plan ahead and consider your equipment carefully and order early. The focal point of your new hobby, of course, is the beehive. On receipt of your new beehive, you will no doubt be eager to get started. But things may take a little longer than you hoped or imagined. Beyond the state in which your hive arrived (non-assembled, assembled or as a plan – see below) you may have some prep work to do. It is very common to paint pine beehives. This extends the longevity of the beehive. The choices of color are wide open, but make sure you choose an appropriate paint. Typically, you will need to install a primer too. Of course, the paint will need to dry, so allow for that. For cedar beehives, painting is unnecessary. This is one of many advantages of cedar beehives – see here (warning: ugly mug alert!!!). It is common, though entirely optional, to apply a coat of tung oil. This adds a beautiful luster to the beehive, as well as providing an additional coat of protection from the elements. Thankfully, tung oil drys very quickly. Many beehives arrive non-assembled. This obviously simplifies the shipping process and reduces your costs. Consider shipping costs, of course. Some companies, like PerfectBee, offer free shipping on orders over a certain value. PerfectBee has the lowest free shipping level in the industry, kicking in on all orders of $75 or more, compared to $100 or $150 by many other beekeeping companies. Thankfully, beehive construction time is not too significant, depending on the number of boxes in your package (two is quite common). Anyone with a hammer and the appropriate number of nails should be done in 30 minutes or less. 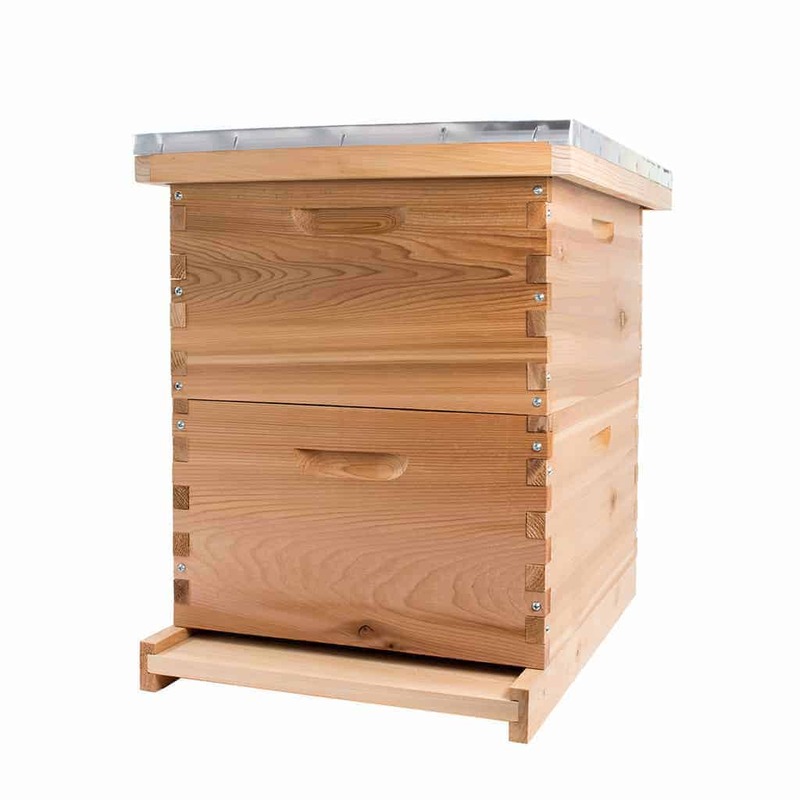 If you want to save time, a fully assembled beehive is another option. 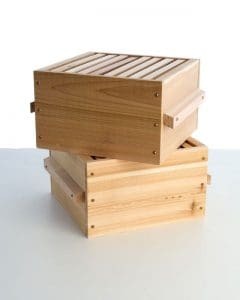 In this case, you have to put the boxes on the bottom stand to “construct” the beehive, but the individual components, like the boxes, are already assembled. This saves you some time but, for most people, the additional cost involved in ordering and shipping an assembled beehive is probably not justified. The final option – if you happen to be a little handy! – is to build your own beehive. There are many options available here and hove plans are readily available at a low cost from many sources. This requires obtaining the appropriate wood, accessories and tools but does allow for a more customized beehive. There are some wonderfully creative designs available and we will look at these in a separate article. If you are handy with a saw, a hammer and other tools – get creative! One aspect that many new beekeepers forget is the time taken to assemble frames. It is again quite common to order frames that need assembly. This is incredibly easy – just knock nails into each corner of the frame, right? That’s true but when you have, say, two boxes, with two nails in each corner and each box has 10 frames – well, that’s 160 nails to hammer home. That takes time! This can be a little tedious but it does lower the cost. 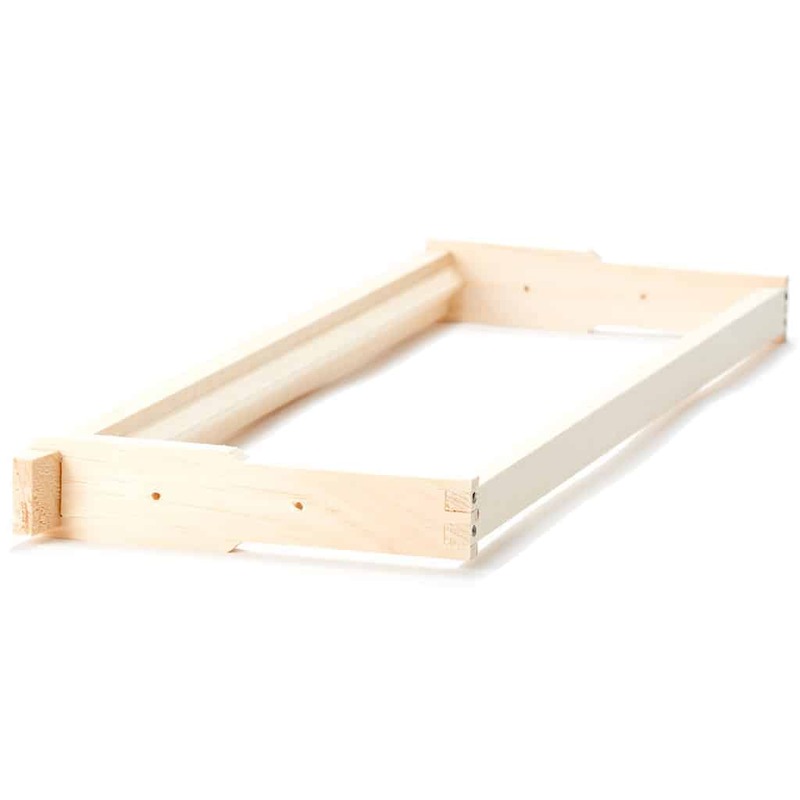 Another option is to just order pre-assembled frames, with or without foundation. A frame assembly jig can help speed things up considerably. By the way, if you are including foundation with your non-assembled frame then factor that in too. But even if you are going foundationless, frames still have four corners and nails! There’s no complicated message here beyond plan and allow some time. If you are building your own hive then you have a longer job on your hands (presumably because you enjoy this sort of craftsmanship, so who cares that it takes more time?). But even at the other extreme, with a fully assembled beehive, PerfectBee’s advice is to allow a little time between receiving your beehive and obtaining your bees, particularly if you have to paint or prepare your hive. Then you can install your bees with more confidence they have a beautiful home for years to come.